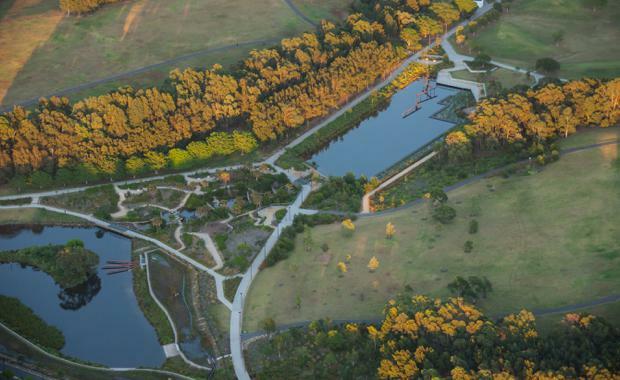 City of Sydney’s largest environmental projects to date, Sydney Park Water Re-Use Project, has received the annual Museum of Applied Arts and Sciences (MAAS) Design Award, adding to its accolades since its official opening by the Lord Mayor in July 2015. The Museum of Applied Arts and Sciences museum showcases excellence and innovation in technology, engineering, design and science. Since 1992, the MAAS Design Award recognises the important role for design in harnessing the challenges of science and technology - the winner selected from all categories of the annual Good Design Awards.